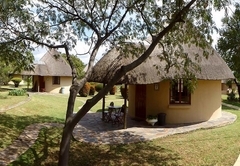 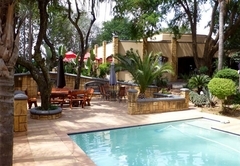 Das Landhaus Guest Lodge is a highly recommended B&B with self catering option, providing accommodation in Chartwell for tourists visiting the Sandton region. 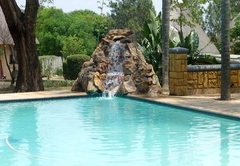 Located 25 minutes from OR Tambo International Airport and 10 minutes from Lanseria Airport in a tranquil residential area of Sandton, Johannesburg we offer you a spacious “Home from Home” under German management. 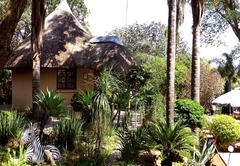 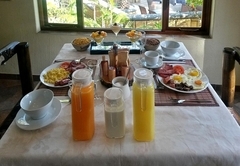 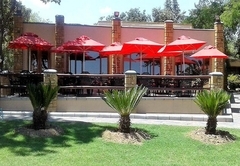 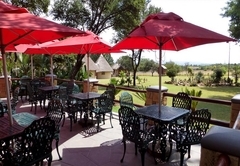 The homely atmosphere, an excellent English / Continental breakfast as well as the outstanding in house kitchen, a lush tropical garden, a well stocked bar and a cozy veranda, often tempt visitors to either stay here longer at the beginning or finish their stay in South Africa with us. 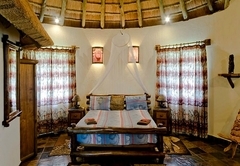 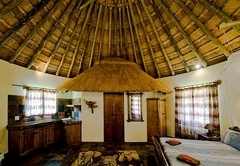 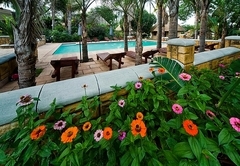 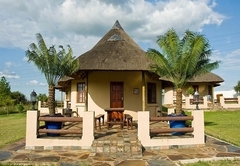 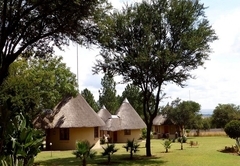 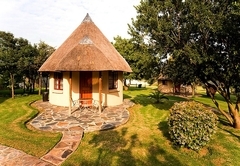 Our 28 luxurious cozy thatched chalets with en-suite bathrooms and private verandas, situated around a sparkling pool in a lovely country estate with a variety of game, offer unexpected luxury in a relaxed, very secure and totally informal atmosphere with mini-bar and satellite TV with complimentary German channels etc. 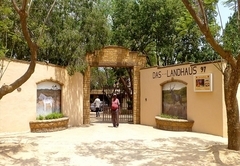 “Das Landhaus” also offers fully exclusive and private conference facilities. 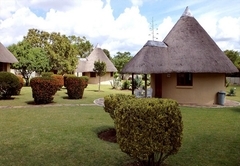 For sporting outdoor enthusiasts the area around us offers tennis, golf and horse riding opportunities or the use of our large sparkling salt water swimming pool. 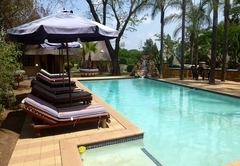 We also offer expert advice for onward travel throughout South Africa, as well as own or chauffeur-driven excursions in and around Johannesburg, the Golden City and Pretoria, one of the capitals of South Africa also known as Jacaranda City when in season. 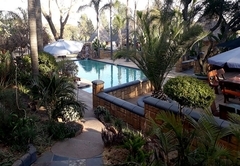 As an official vendor we can also arrange a Blue Train journey for you be it from Pretoria to Cape Town or back or other destinations by arrangements. 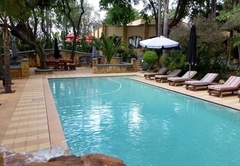 Other tours comprise visits to Gold Reef City, an old Goldmine with visits underground, Sun City, the Las Vegas of Southern Africa, Soweto, the largest Township in South Africa, the exciting Rhino and Lion nature Reserve, Cullinan Diamond Mine, the famous Monte Casino complex including its exotic bird sanctuary, Union Buildings, Paul Kruger Museum and Voortrekker Monument in Pretoria. 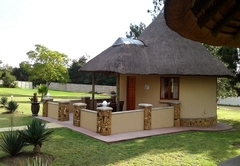 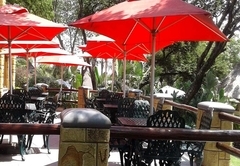 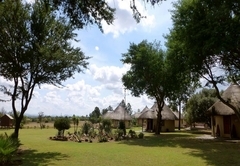 We also organize trips to the world famous Kruger National Park, the Drakensberg, etc.